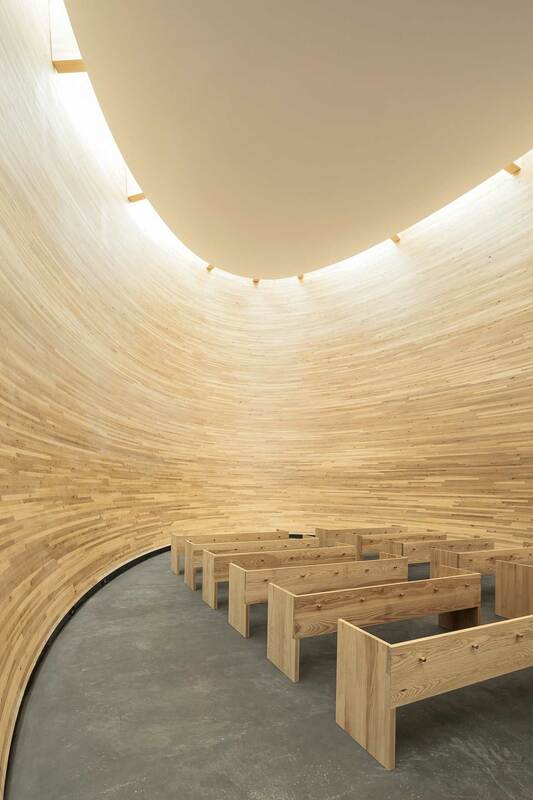 Kamppi Chapel of Silence by K2S Architects // Helsinki, Finland. Happy New Year fellow Yellowtracers! I hope you’re soaking up the summer sunshine bliss. As for me, I’m slowly defrosting after just getting back from a week in Santa’s freezer, otherwise known as Helsinki. Although I may have not seen the sun for a week, it was oh so bloody worth it! In the center of this beautiful city, there is a smoking hot Chapel that had me once again, going archi-gaga for materiality and detailing. 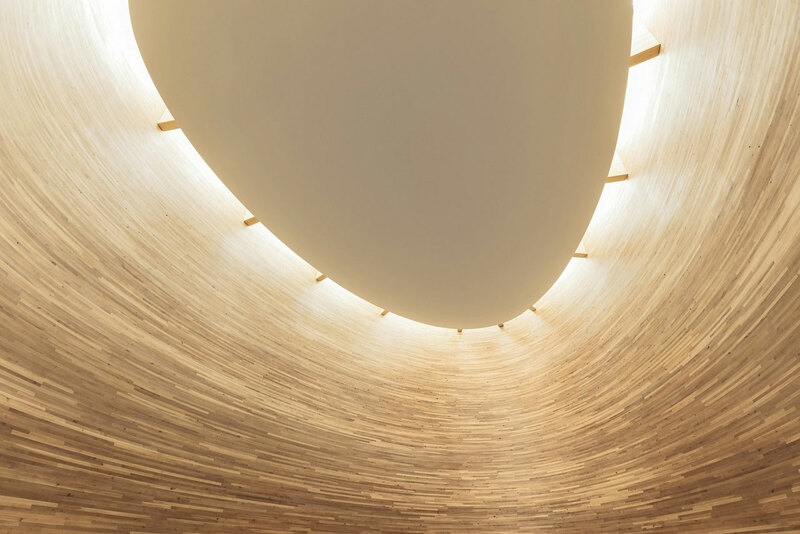 Kamppi Chapel of Silence is a peaceful timber paradise sprouting from the south-side corner of Narinkka Square in Helsinki – one of Finland’s liveliest urban spaces. 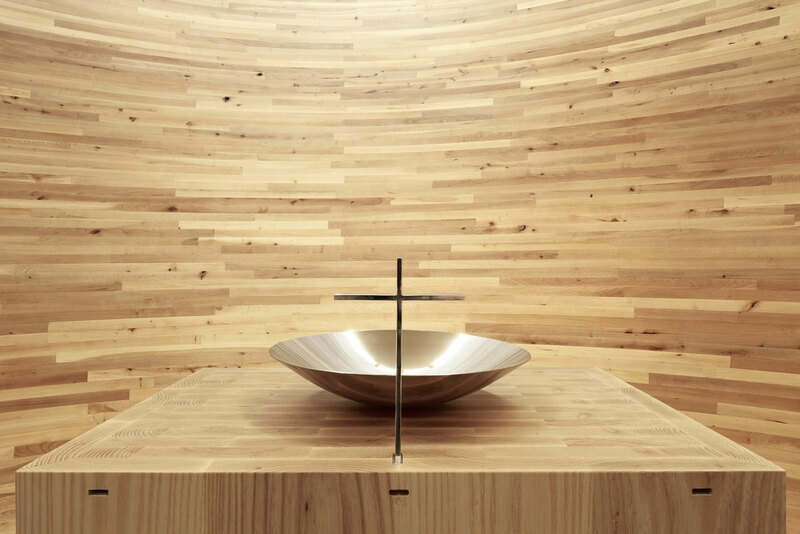 introduced the chapel into the otherwise icy context by delicately moulding a waxed and pigment-treated exterior finish to the Chapel’s vase-like form. Delicately rounding off the exterior, like a welcoming bubble of warmth and cosy, the Chapel invites you (regardless of religion, race, lifestyle… etc.) 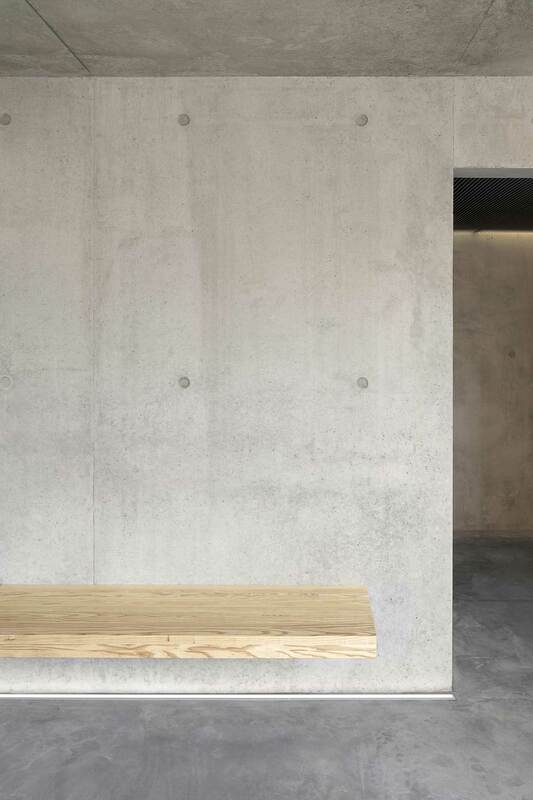 through a cave-like mediatory space, dug into the square’s exterior retaining-wall, and into the silent timber heart of the building. 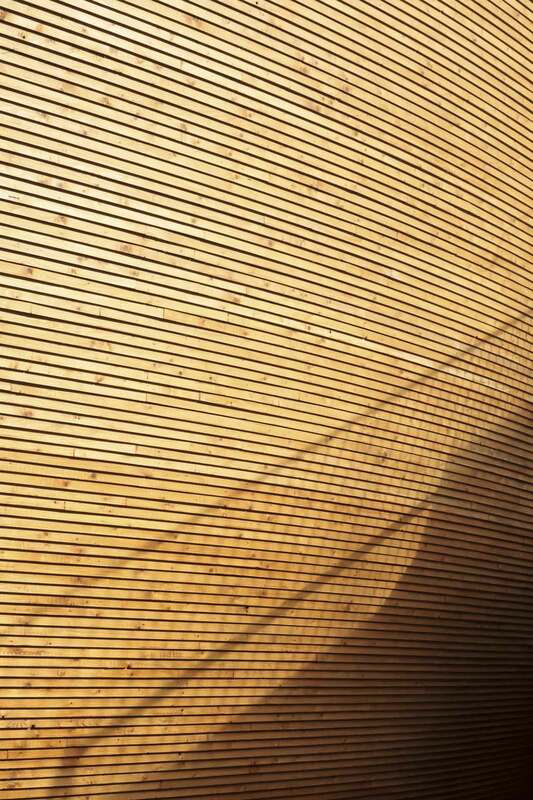 On the interior, the rounded curve expressed on the exterior is redefined using oiled-alder planks, carefully composed to highlight the timber’s natural variance and to create a kind of swirling calmness. Furthermore, and to really layer up the sense of calm, the space is diffusely lit from above through a recessed ceiling detail that is strung up using a glue-lam structural system. The whole thing just makes you sit down, shut up and start listening. That’s where this timber-temple excels: it invites you in and quietly whispers – ‘slow down and chill out’. 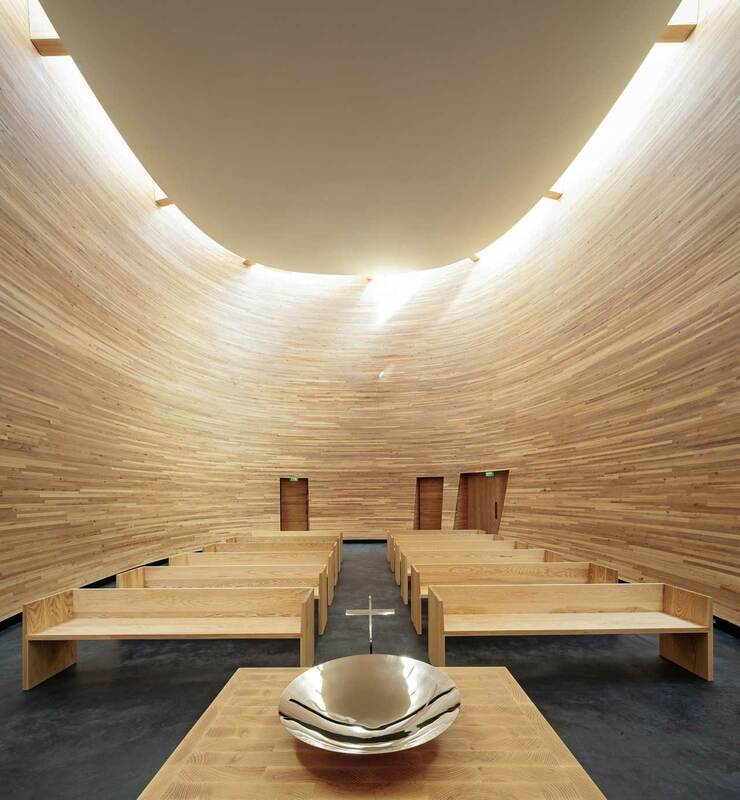 Built as part of Helsinki’s World Design Capital status in 2012, the Chapel has won numerous international prizes and has had over half-a-million visitors since it’s opening in February 2012. That’s a lot for this tiny Chapel, especially considering its in little old Finland. It’s clearly doing something pretty epic. 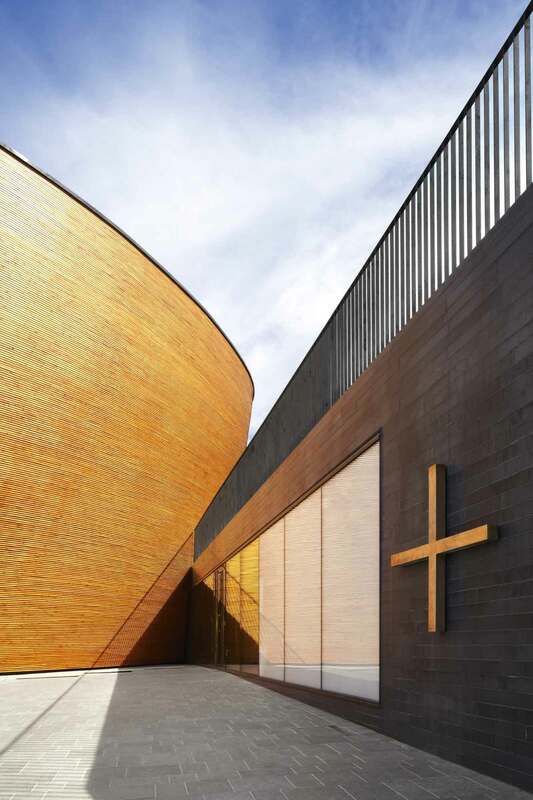 Churches & Chapels on Yellowtrace. Video // Pixel: Dance Performance Meets Interactive Digital Projection. OTM Table by Doshi Levien for Schiavello. Originally from Melbourne, Sam is a design-crazed architect currently living and working in Copenhagen, Denmark. Nuts for all things futurist and technology based, he is super interested in the evolving relationship between design/ architecture and the process of industrialised production - probably derived from childhood ambitions to make his own, personalised R2D2. Totally crazy about concepts like self-assembling architectures, Sam gets an unreal kick out of trying to understand the complexities behind any design. In his limited, non-design time he is currently learning Danish and practicing it shamelessly with the poor coffee barista down the road twice a day, every day.